I am sitting in a cyber café in vibrant Dakar. It is boiling hot in here, there are motor cycles honking outside, my hands smell like anti-mosquito spray, and there are men arguing about how much they are willing to pay for cigarettes: I like this. The past weeks have been very intense. Physically and mentally I had great moments, and I crossed paths with interesting people almost daily. 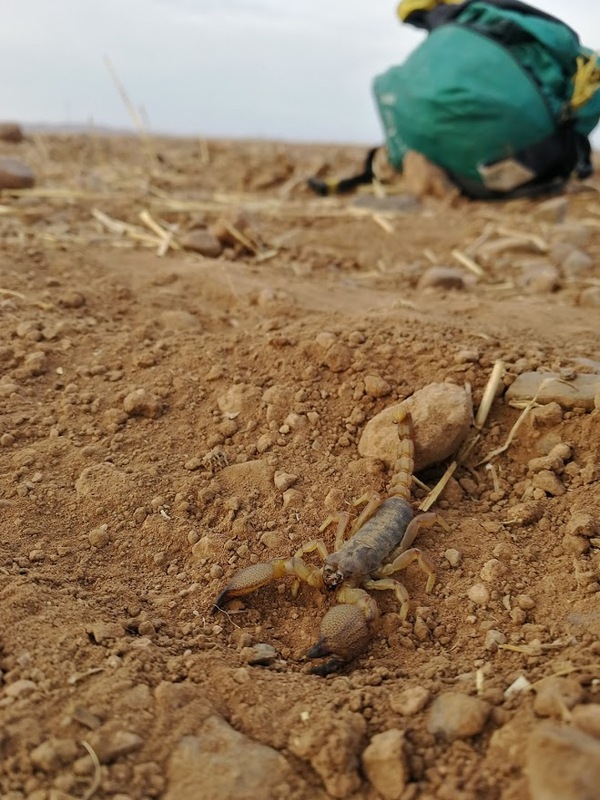 I also had some difficult moments dealing with desert sand and African heat. Most notably, I am starting to feel like this is my natural “state of being”. A few days ago, I shook hands with a Senegalese border officer. “Quelle est votre profession monsieur?” for the first time it felt natural to say “Je suis cycliste”. I take it as serious as I used to take my job. It is what I do, and I love it. It has been a while since I posted anything, mostly because I was in the stone age of telcom: a.k.a. the Sahara desert. I barely had any connection, and when I did I just texted “I am still breathing” to my mom. Therefore, I decided to break up today’s news flash into two separate posts. 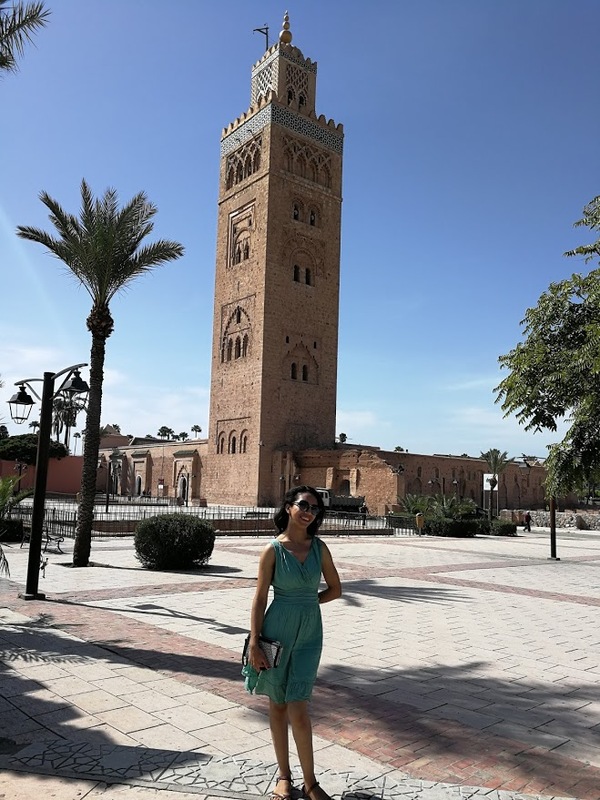 The first part will be about what happened from Meknes down to the Mauritanian border. 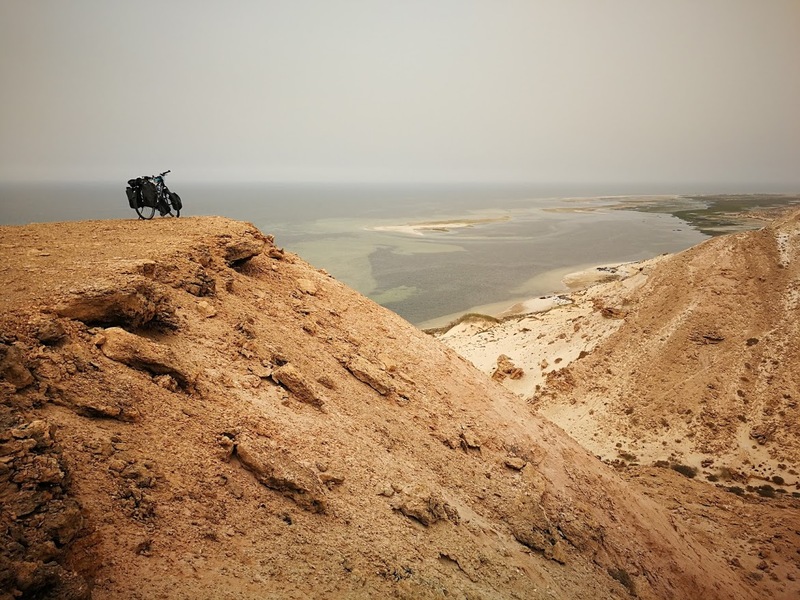 The second part will highlight all the fun from the Mauritanian border to Dakar. This is part one. (I will post part two in the coming days). 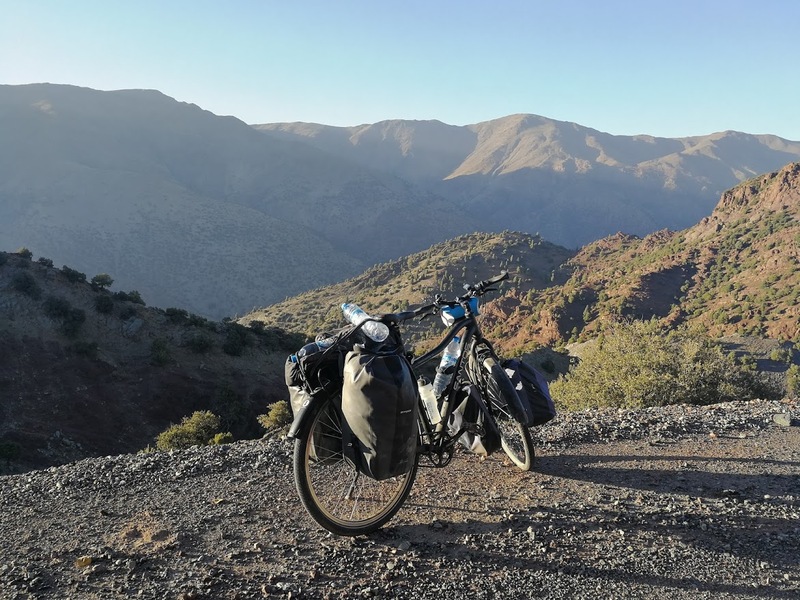 I cycled from Meknes to Marrakech in a picturesque landscape – the beginning of the Atlas mountains. 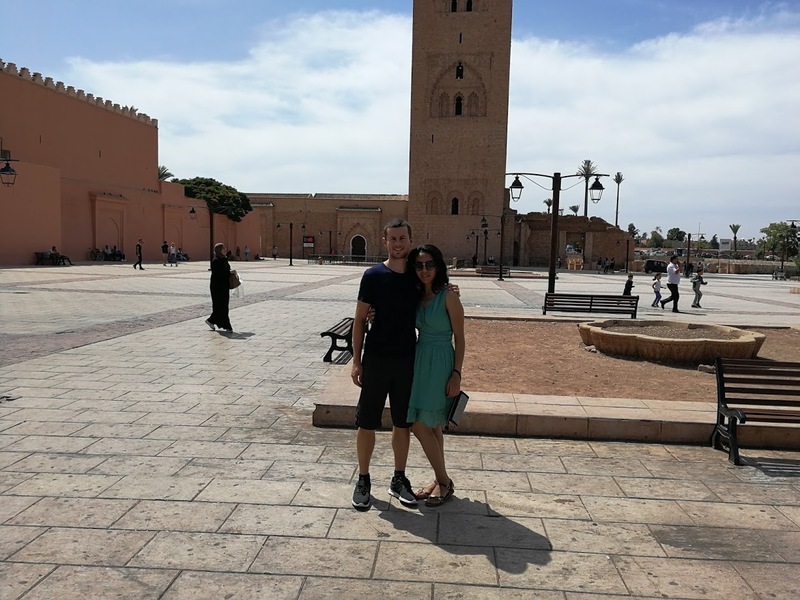 I hung out with Aisha in Marrakech. 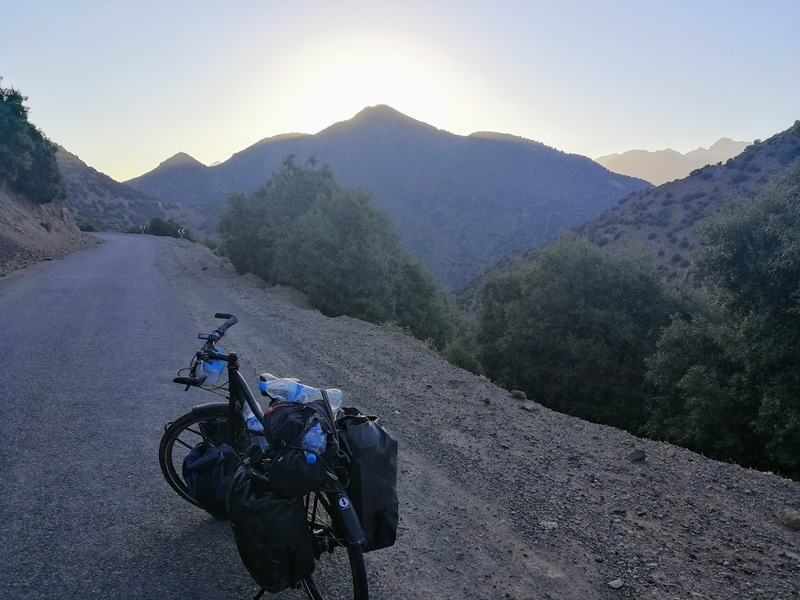 I cycled up to 2100m altitude in “grand atlas”. I was picked up by Ahmed in his mini van on my way down. I took a bus to clear the first 800km of the Sahara desert. I met some kids in Dakhla. I was stuck in Aziz his petrol station for two days in the desert, and hung out with his friends. 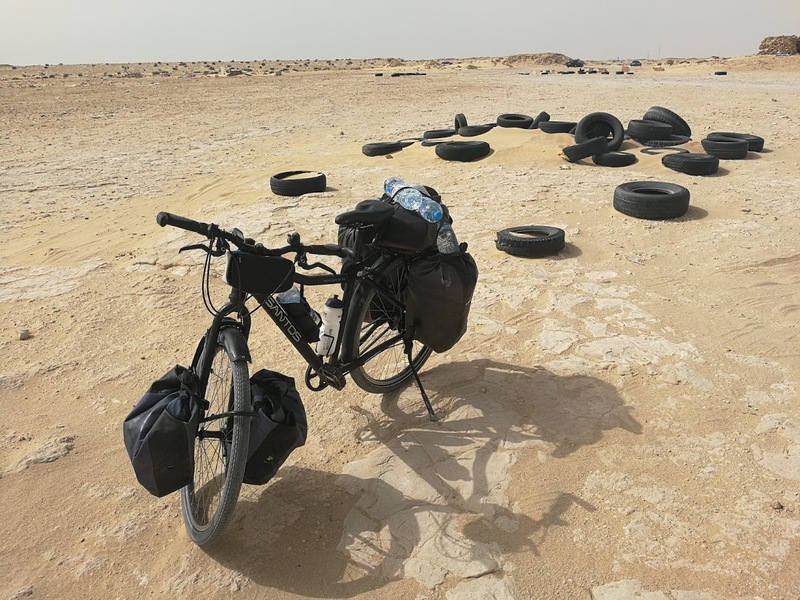 I cycled 600km in the Western Sahara desert to the border with Mauritania. 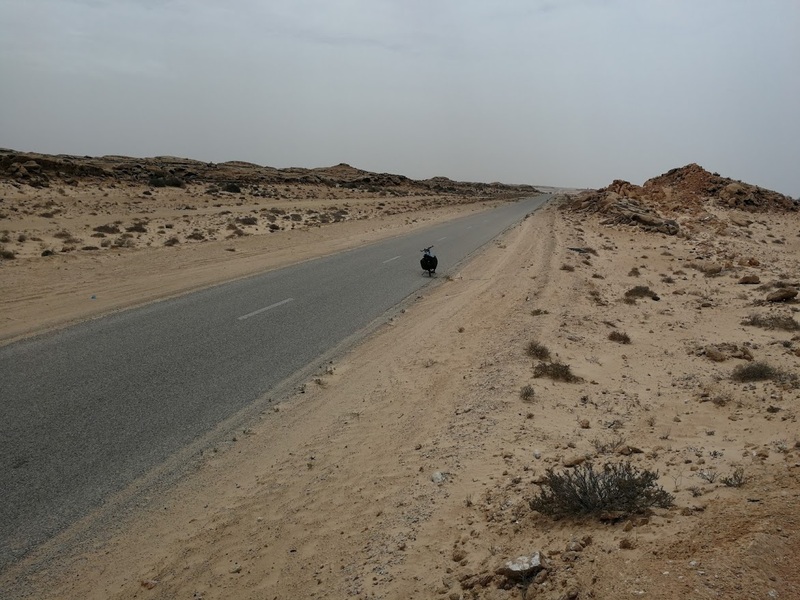 I crossed the infamous “no man’s land” that separates the Moroccan occupied Western Sahara and Mauritania. I had lots of tea. 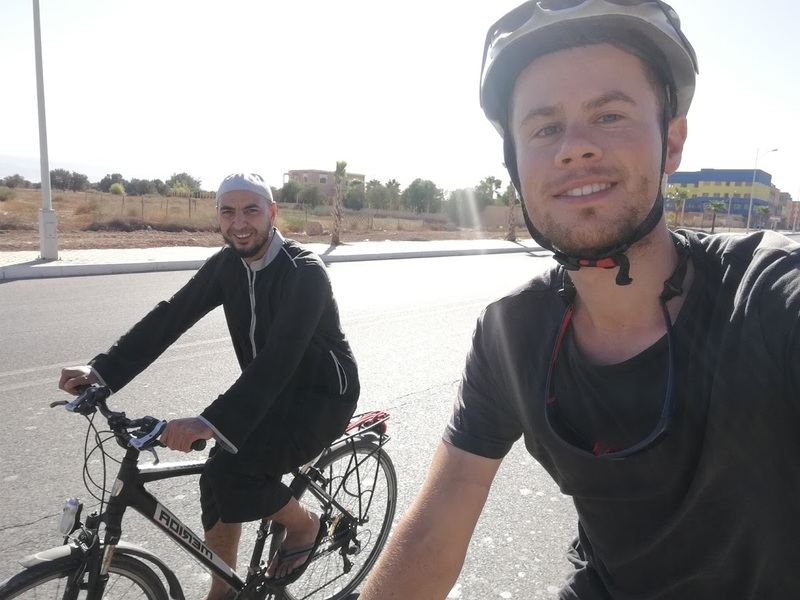 After ten days of rest in Meknes I was more than ready to cycle again. 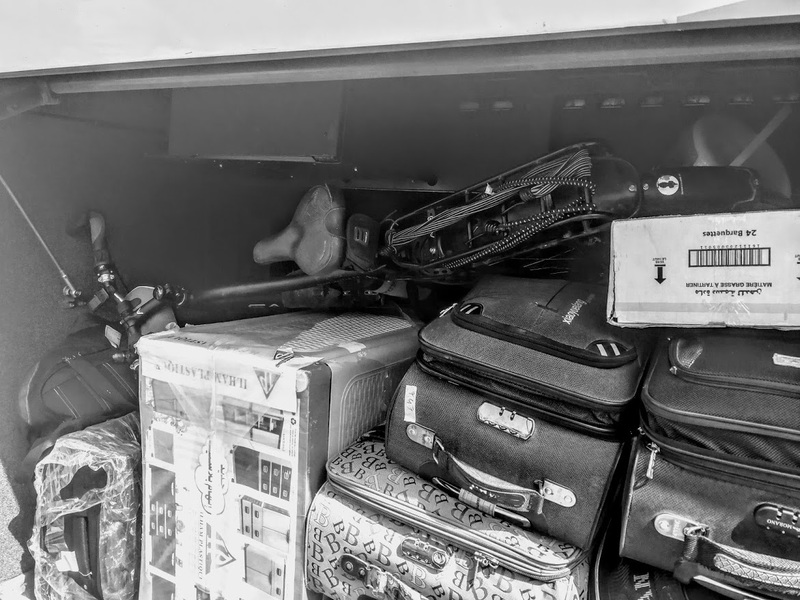 I kissed my host family in Meknès – the Ameziane’s – goodbye, and set course for Marrakech. 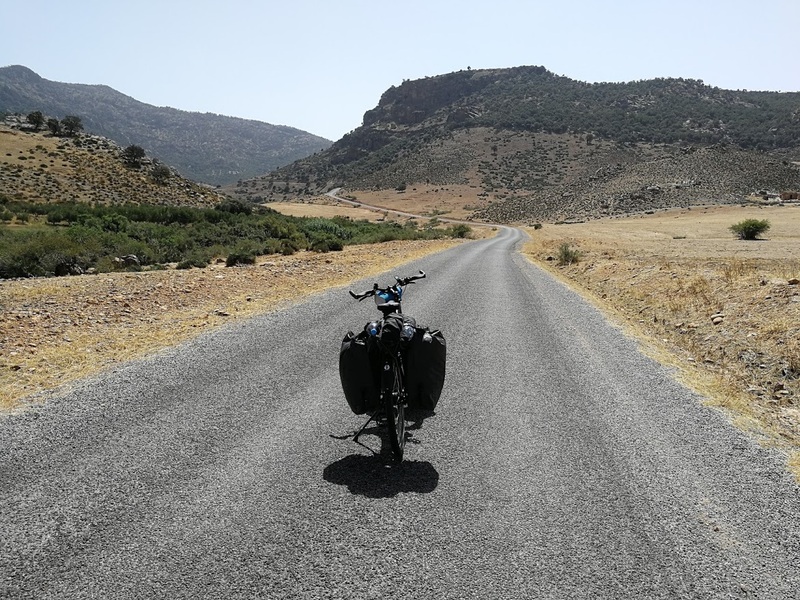 South of Meknès, I entered a hilly landscape: the beginning of the Atlas mountains. The climbs were short, but very steep. I chose to avoid traffic as much as possible. 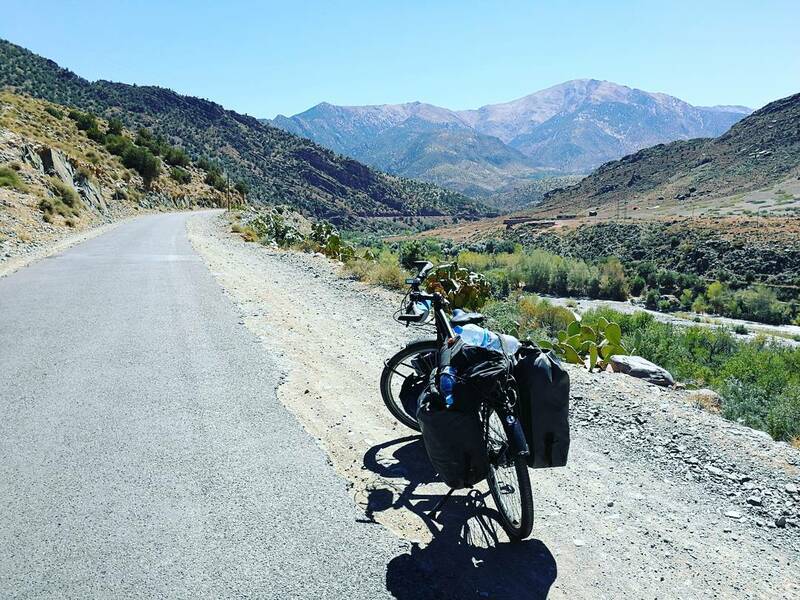 For four days I cycled along winding mountain roads and enjoyed the stunning scenery along the way. The only issue I encountered was water supply. I started drinking out of wells (if I saw local shepherds drink from the well too). 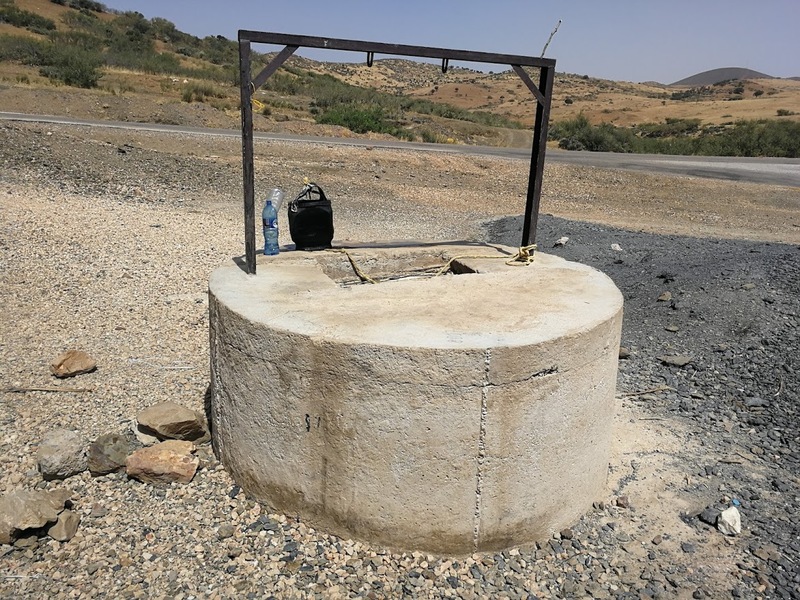 drinking water from a well for the first time. 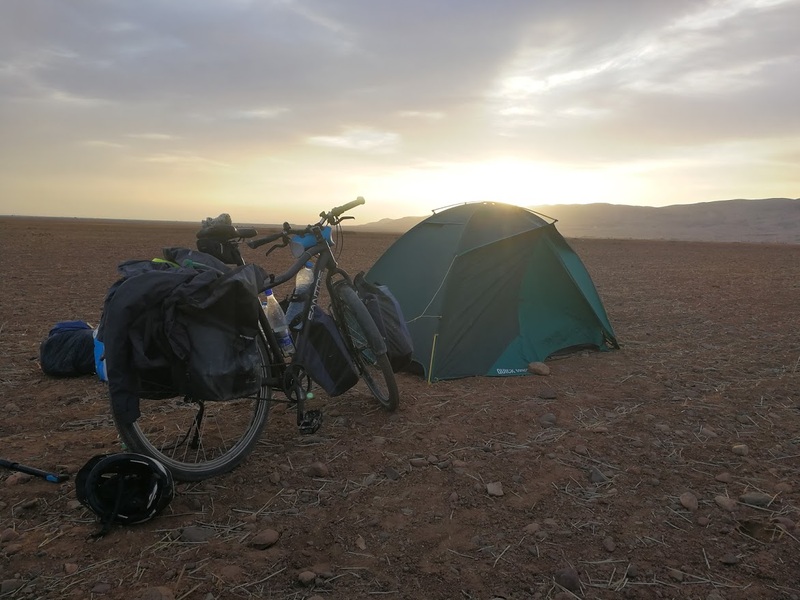 After four days of cycling up and down, I arrived in Marrakech. I hung out with my new friend Aisha. She showed me around and told me about the history of the city. She showed me the two faces Marrakech has. The traditional side characterized by the old Medina, and also the modern buildings and shopping malls (there’s even Starbucks). Hanging out with Aisha was great. Besides visiting the city, I learned a lot about Morocco’s superstar king: Mohammed VI. After two nights in Marrakech, I was ready to take on the “grand Atlas” mountains that lie South of the city. 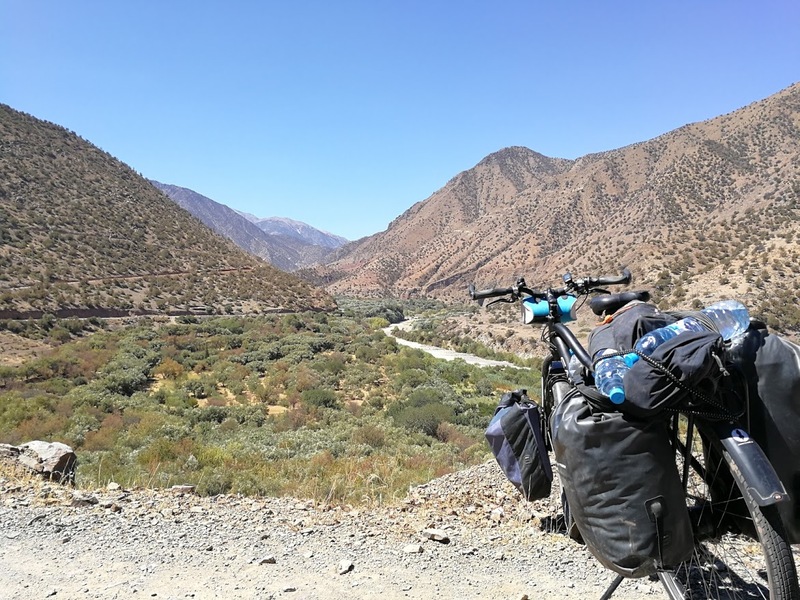 I knew this passage would prove to be the toughest test so far, because the only road that goes through the mountains goes up to 2100m altitude. After two days I reached the highest point of my journey so far (Tizi 2100m). The climb was hard, but fun. A lot of people cheered me on, or honked, as they passed me by. When I finally made it to the top, it was already getting dark. I started to go downhill, but I didn’t feel very safe because it was too dark to see potholes or other obstacles. After 5km of downhill, Ahmed was driving behind me in his van. 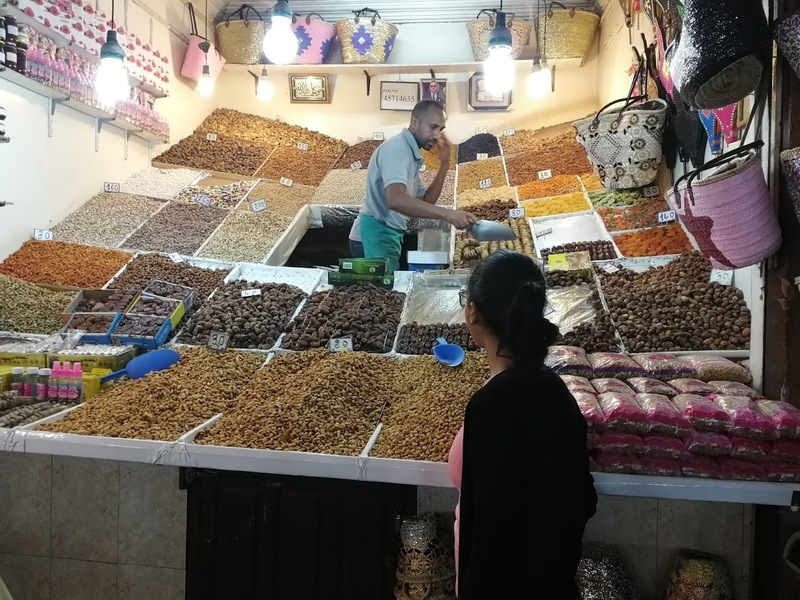 Ahmed was on his way back from Marrakech, where he delivered a load of the almond oil he produces. 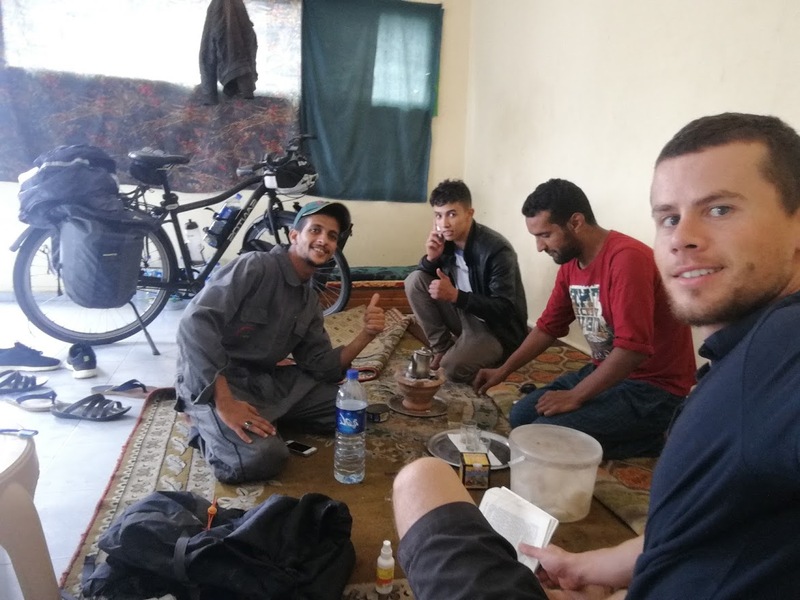 He helped me put my bike in his van and drove me to his house near Taroudant where I spent the night. 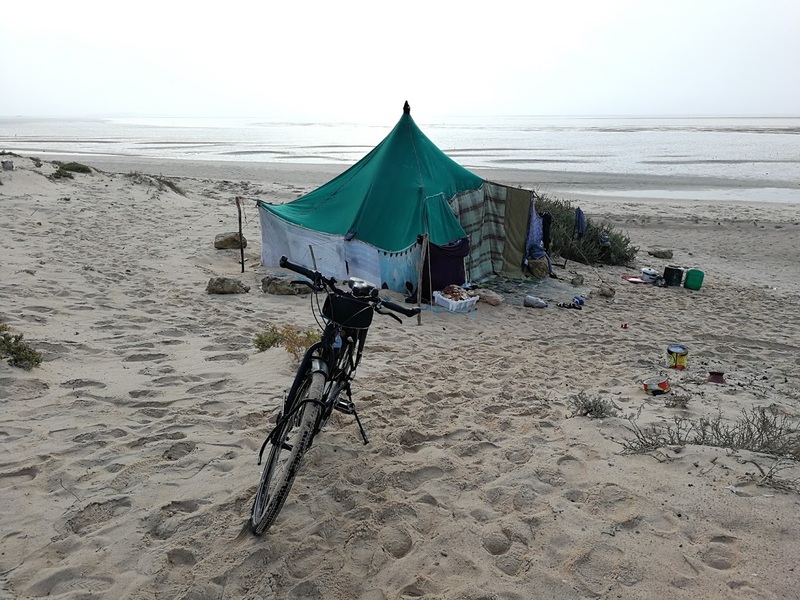 The next morning, he got on his own bike and cycled with me for an hour – I love the jellabah! South of the Atlas mountains, I decided to take a bus to gain some time. 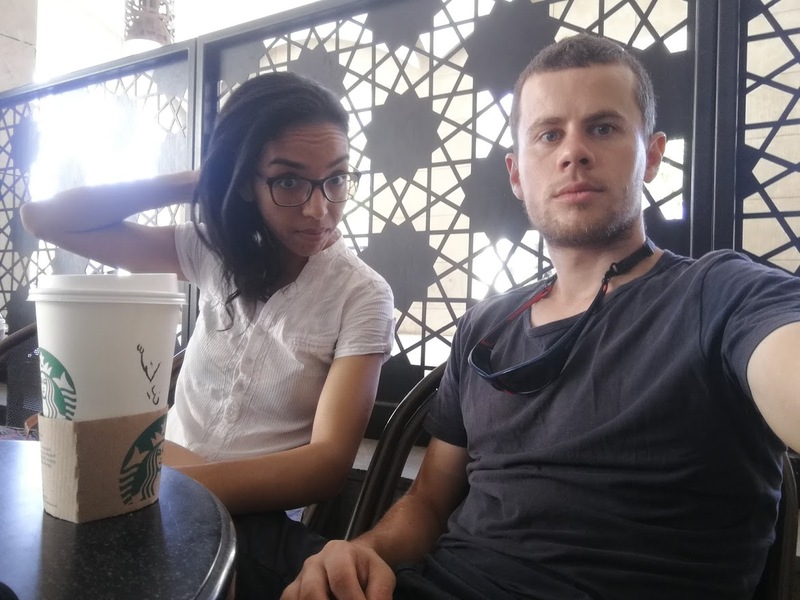 Three friends of mine had booked a flight to Dakar on the 9th of October, so I skipped the first 800km of desert from Tiznit to Dakhla to make sure I stayed on schedule. I was worried that my baby would get scratched in the boot of the bus, but she came out okay. I had to get off the bus 3 times for passport checks. 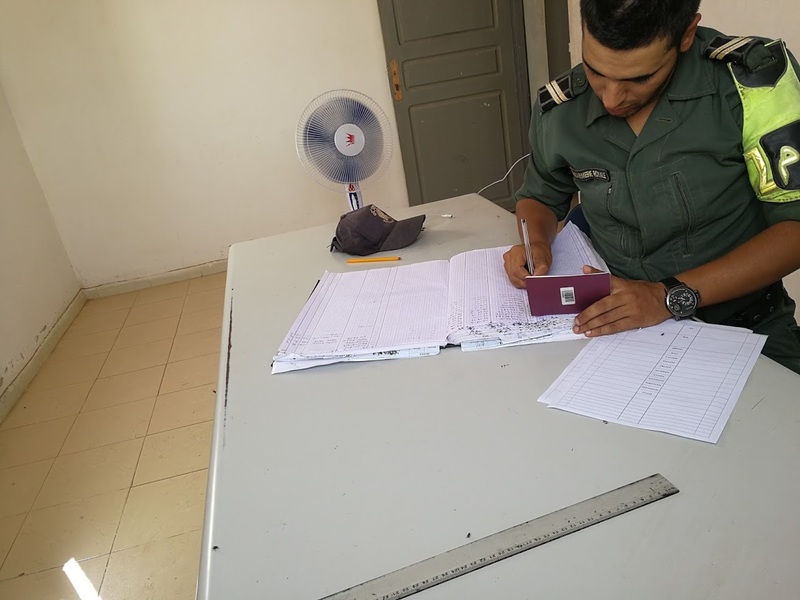 The Western Sahara is a disputed area – controlled by morocco since the 1970’s – and there are a lot of police checkpoints. 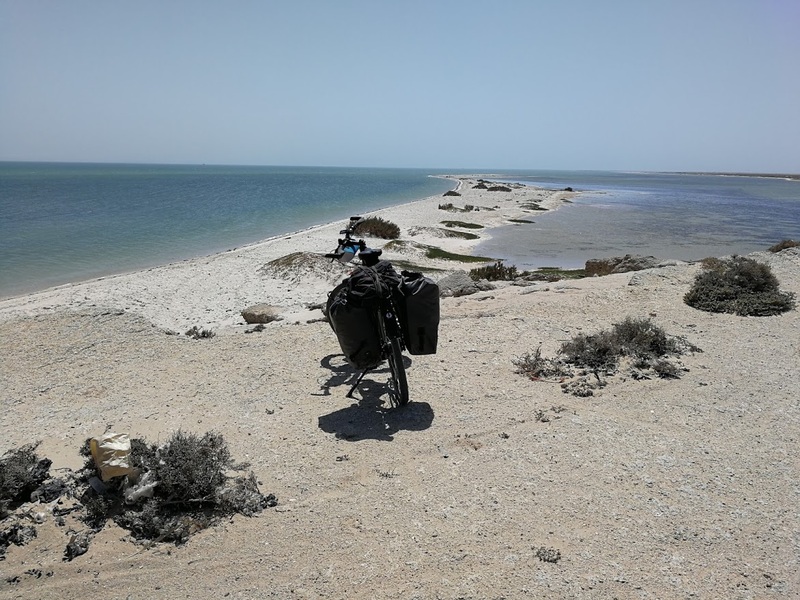 I cycled around the peninsula of Dakhla to spot pink flamingos. 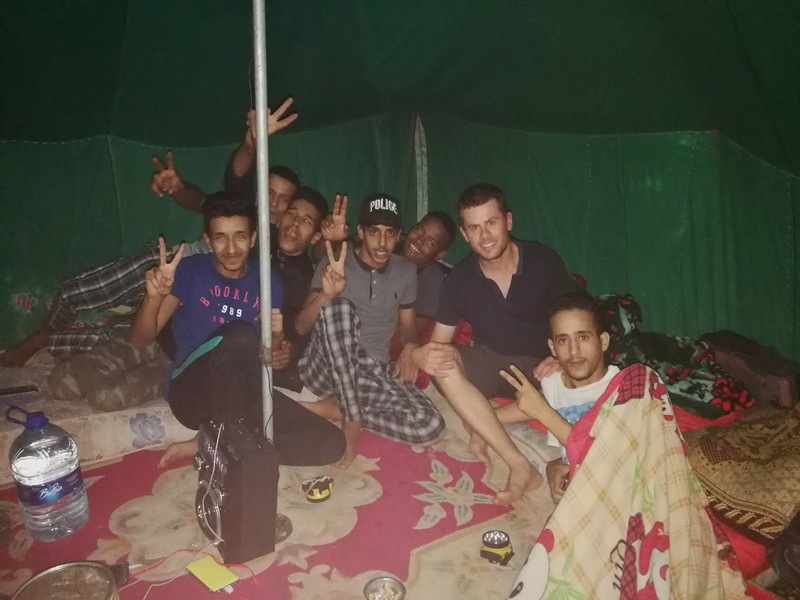 While spotting pink flamingos (I did see some, from a distance), I met a group of Sahrawi boys who were hanging out in a tent on the beach. 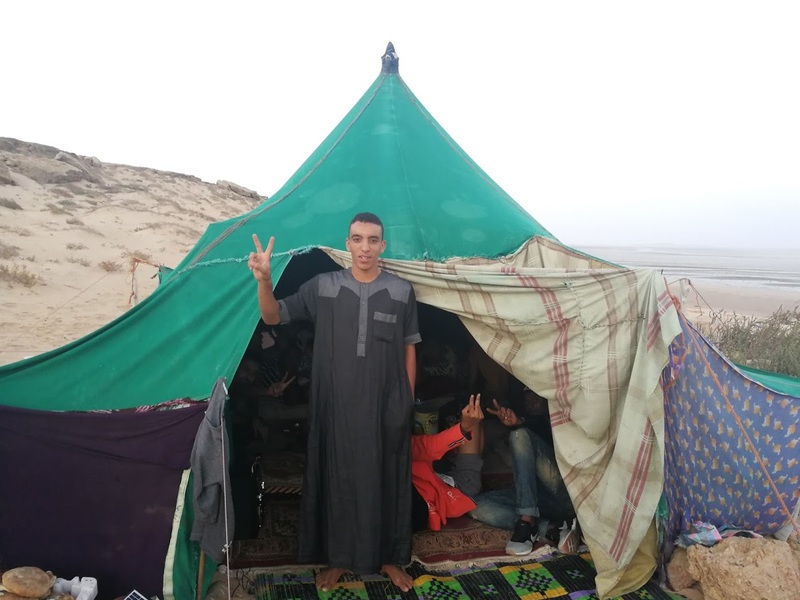 They told me this is their favorite hangout place: they alternate between finding crabs on the beach and singing and dancing to Egyptian songs in the tent. 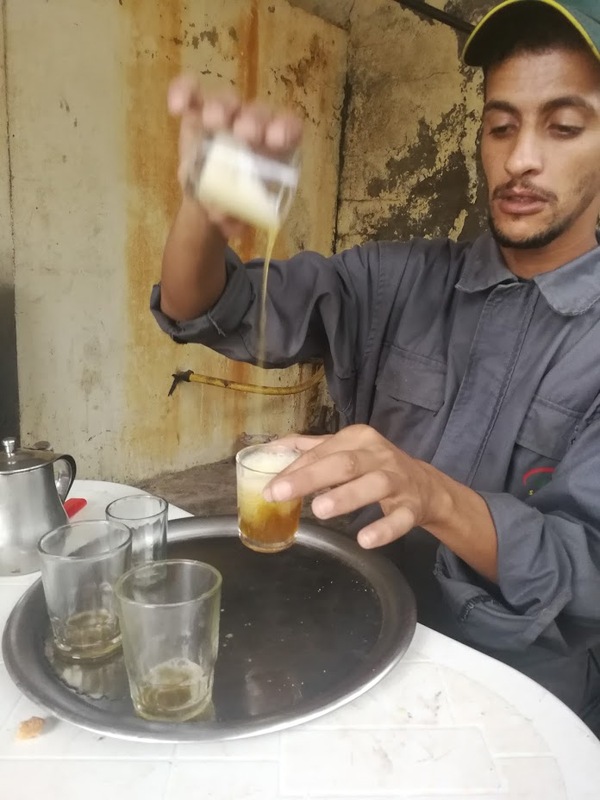 They stayed up to 3am smoking shisha and making Sahrawi tea. They also explained me the political situation of the Sahara desert. You can read more about that here. 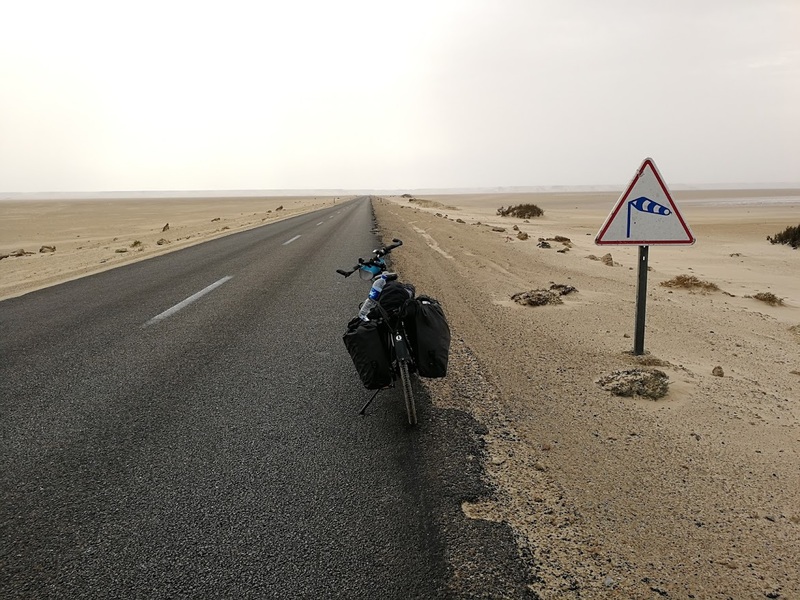 The first 100km of desert South of Dakhla were stunning. 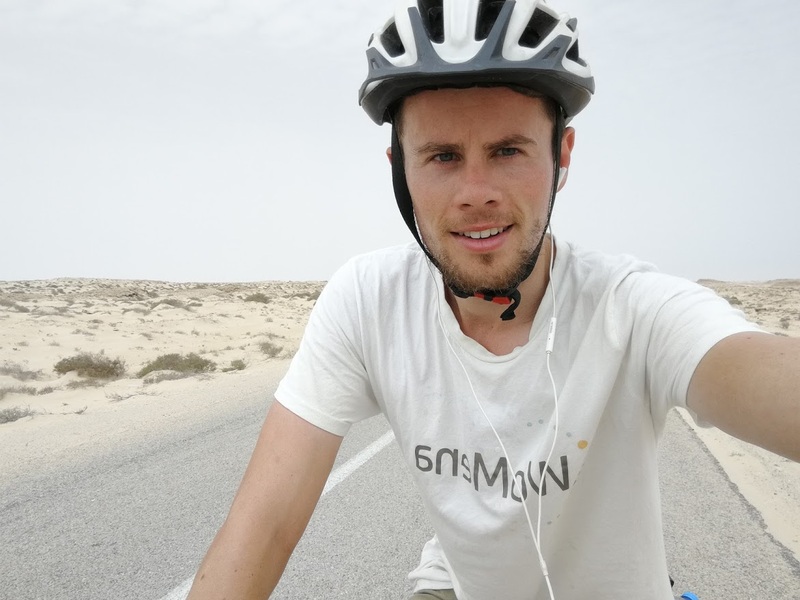 I cycled next to the cliffs that separate the Sahara desert from the Atlantic ocean, and enjoyed how empty the area feels. For the next 1200km there was nothing but desert. 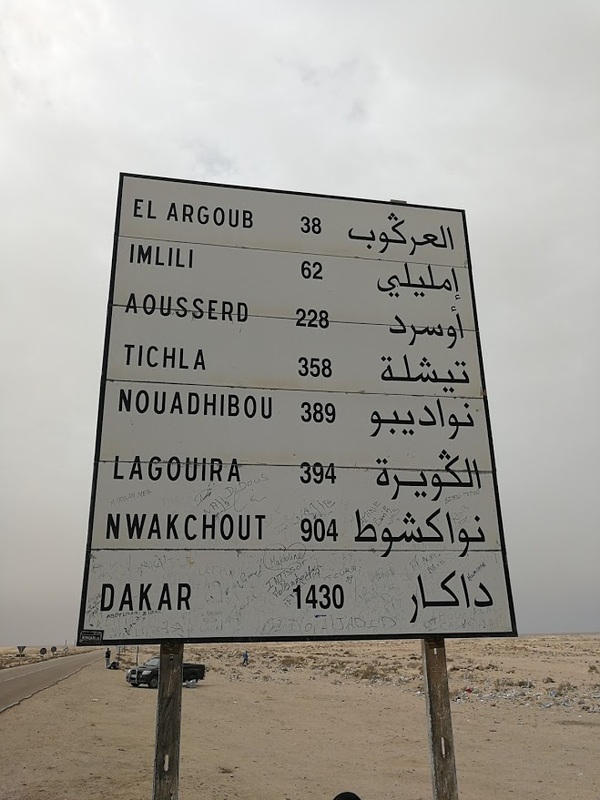 Every ±100km there is a gas station with some houses around, but the first real city South of Dakhla is Nouakchott (the capital of Mauritania). The first three days in the desert were surprisingly easy. There was a strong tailwind, and the temperature fluctuated around 25°C. 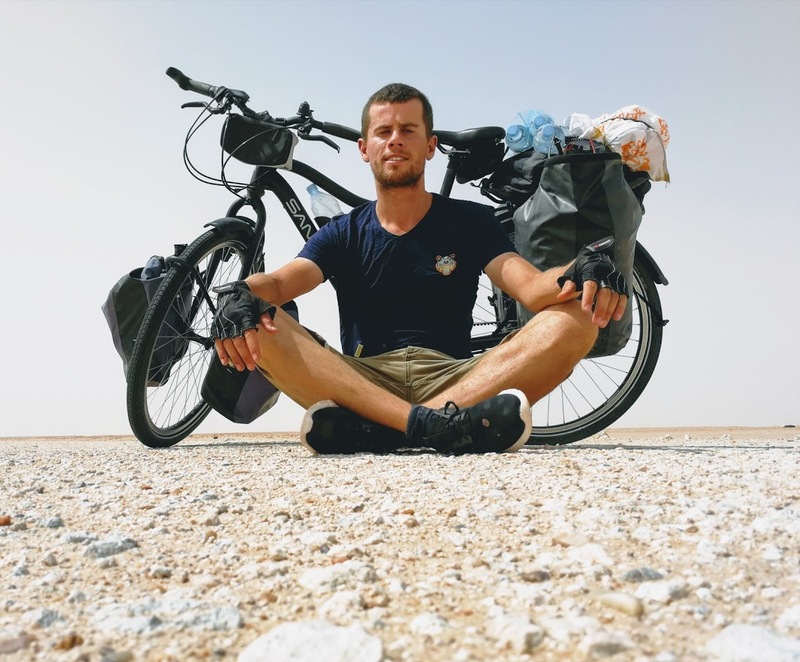 I did 150+ km a day without any difficulties. – putting the pot on the coal fire a first time. – pouring tea in a cup, pouring it back in the pot. – pouring tea from one cup into the other. – putting it back on the coal fire. All men in the desert say this is needed for taste, but I suspect that there is some degree of showmanship involved. Secondly, it’s more about sitting together and talking than about drinking tea. 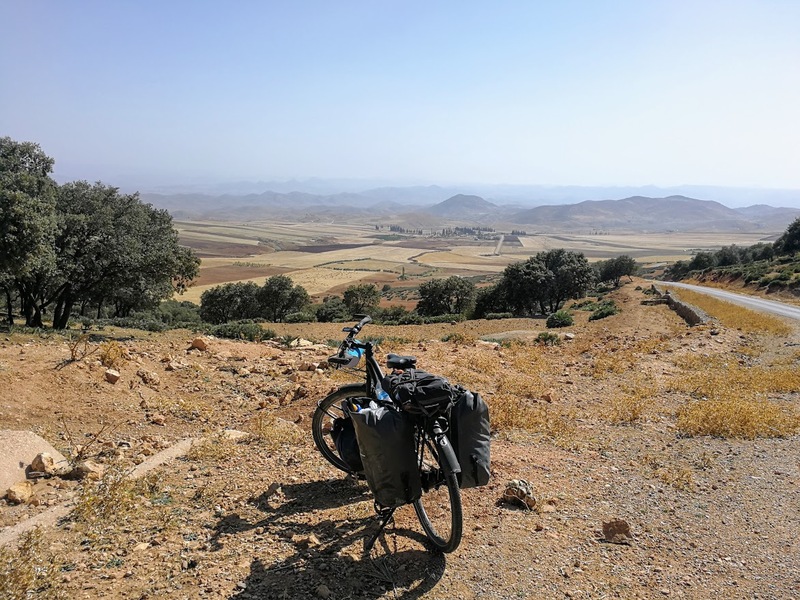 I made it to the border post (Guerguerat) in the afternoon on the 26th of September. 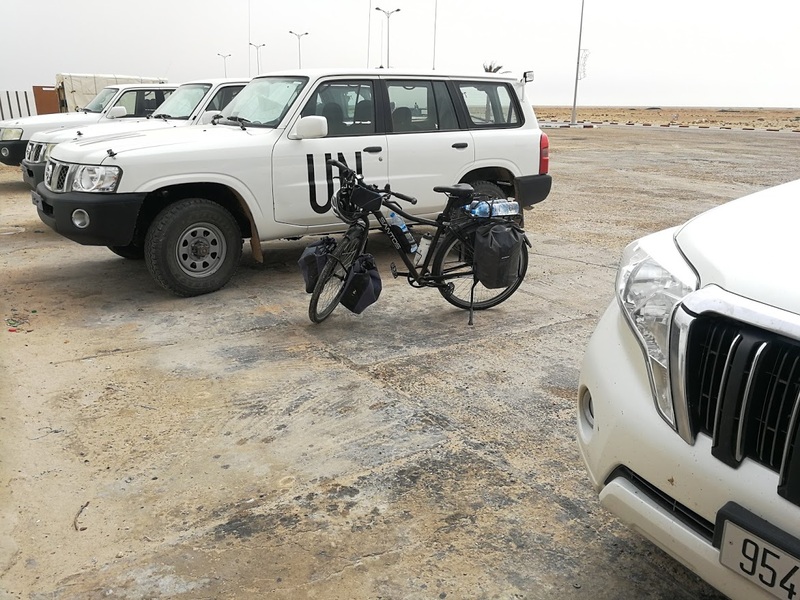 Between the Moroccan exit point and the Mauritanian border post lies 4km of “no man’s land” filled with broken cars and tires. Het lijkt inderdaad wel je tweede, of neen, je eerste natuur te zijn. Bewegen, mensen ontmoeten, verwonderd zijn. Ik sta versteld, en zeker en vast ik niet alleen. Zo’n mooie foto’s en fraaie waarnemingen. Salut Yvan! Merci pour ton message :). je resterai toujours jaloux de ta jeunesse en Afrique n’empêche ;). Volgende maand ga ik naar “Tanzania” (Arusha), naar mijn project daar! Heel even maar, maar ik zal ze op de hoogte brengen dat ze jou misschien ergens in het voorjaar 2018 kunnen verwachten daar…. Moest je nog meer specifiekere data hebben, kan je me altijd berichten via mijn email-adres. Super weer, wat je deed !! Zo leuk dat we kunnen volgen . bedankt voor je bericht Nicole!